This is what people do when they have lot of time on their hands… Amazing fusion of video from Matrix movie and the audio from Sivaji trailer. Check it out. It’s good. Thanks to Jiga for pointing it out. Check it out here at Wiki. Came across an interesting post in one of the blogs that lists several companies and how they were named. founders John Warnock and Chuck Geschke . 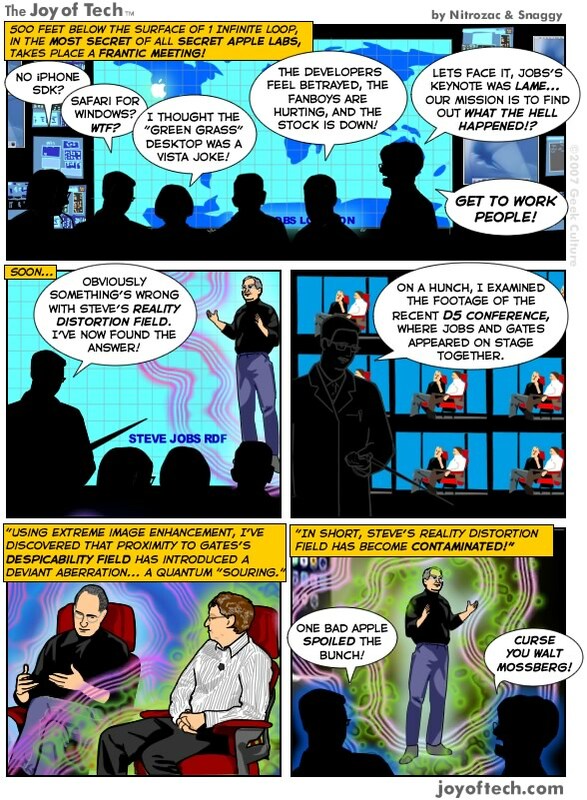 Came across this great video in Shiva’s blog. The manner in which the person has played with the lights is pretty cool!!! Definitely worth a look. 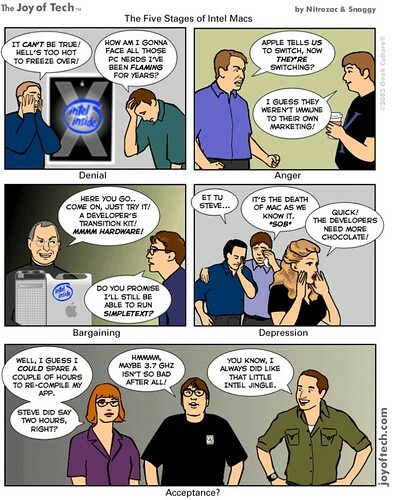 With Apple’s transition to Intel confirmed, here is a comic that illustrates the different stages of the transition – Denial, Anger, Bargaining, Depression & Acceptance.